It was much like a magnet. 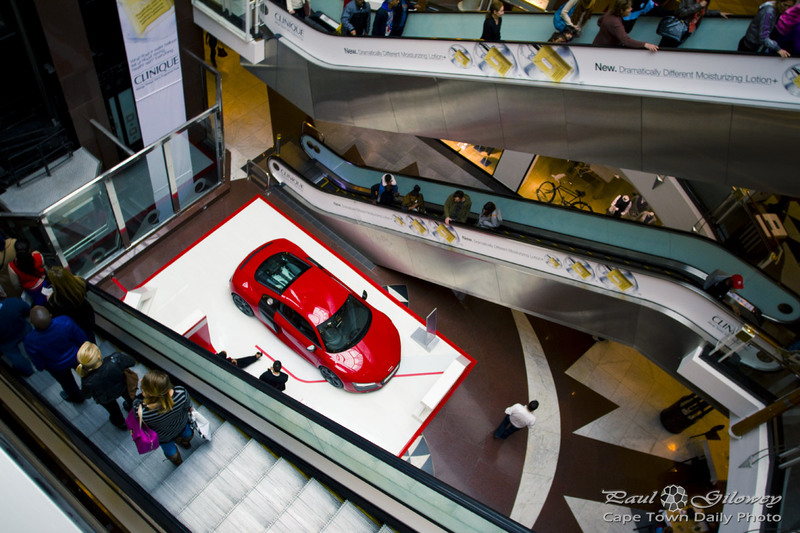 There really was no stopping me from descending to the ground floor in the busy Cavendish Square mall to take a look at the bright red Audi R8 on display. It sure is beautiful. Posted in General and tagged cars, cavendish on Saturday, 13 July, 2013 by Paul.